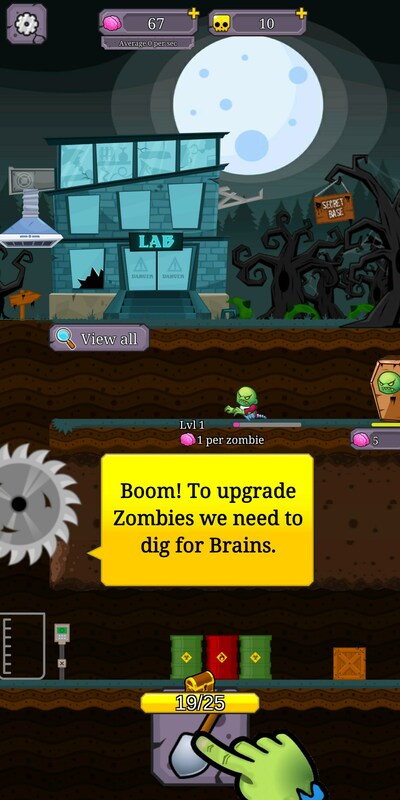 Zombie Labs: Idle Tycoon – Games for Android 2018 – Free download. 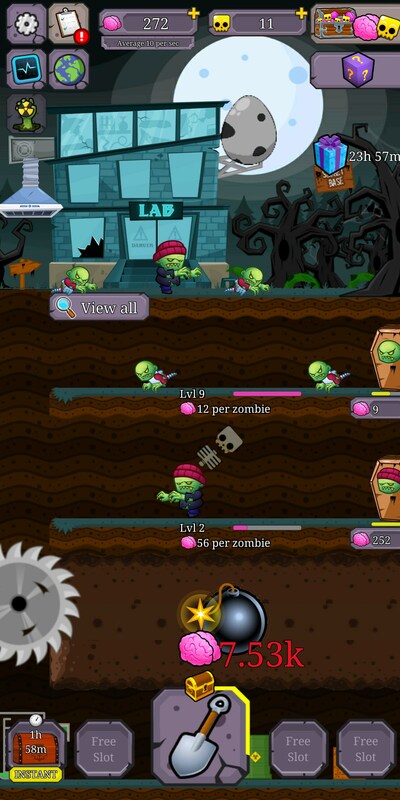 Zombie Labs: Idle Tycoon – Will you become the zombie tycoon? The novelty of a good clicker has long worn off on the Android platform. And as much as I really enjoy sitting down with a good clicker, no matter how many I play, I do occasionally come across one that just rubs me the wrong way. 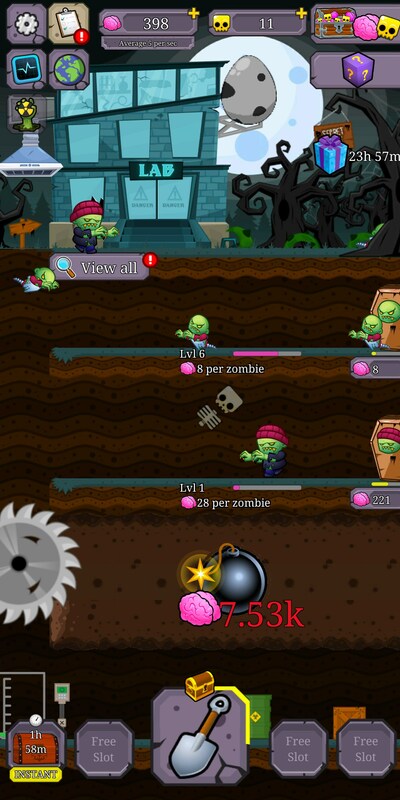 Zombie Labs: Idle Tycoon for Android is one of those games. Unfortunately, this is a game that would have probably been decent several years ago but wouldn’t have aged well in the wake of other more prominent games. Here, almost everything feels off. 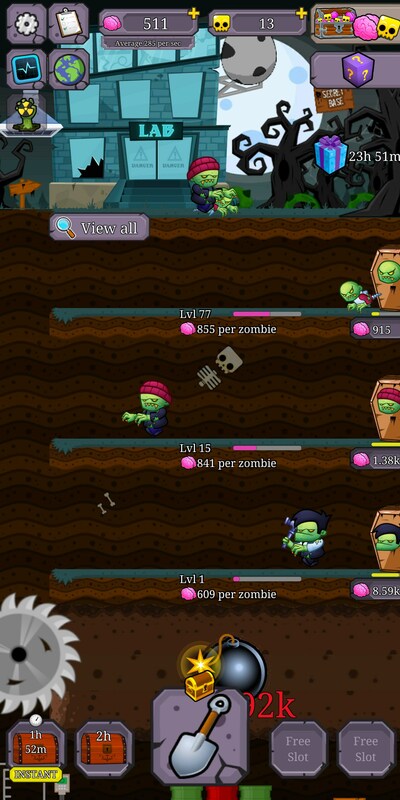 The game looks and feels like a flash game, the pacing is way too slow, the upgrade tree is convoluted with now tooltips and the zombies are uninteresting. 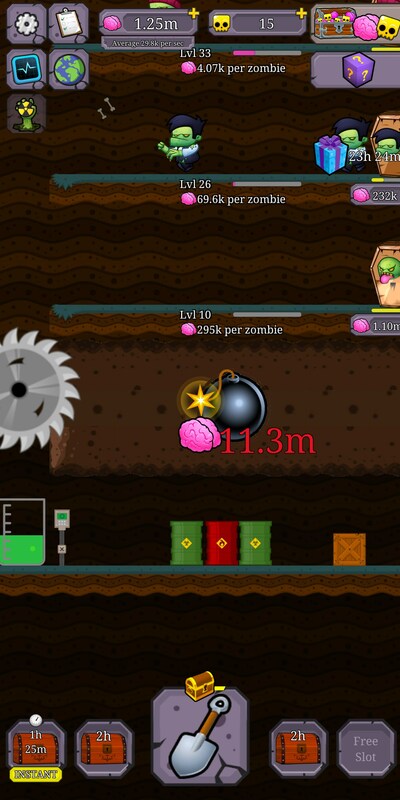 You’ll start off by digging a bit to earn enough coins to build up some zombies that can go out and net you some good brains passively. Sometimes they’ll fall into a giant saw, which seems mostly pointless because you’ll earn just a fraction of the brains you would have otherwise. 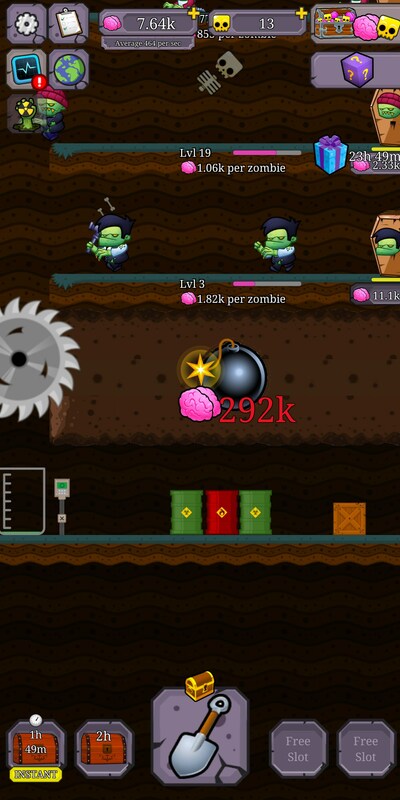 Zombies also only ever earn more brains, they don’t move faster. 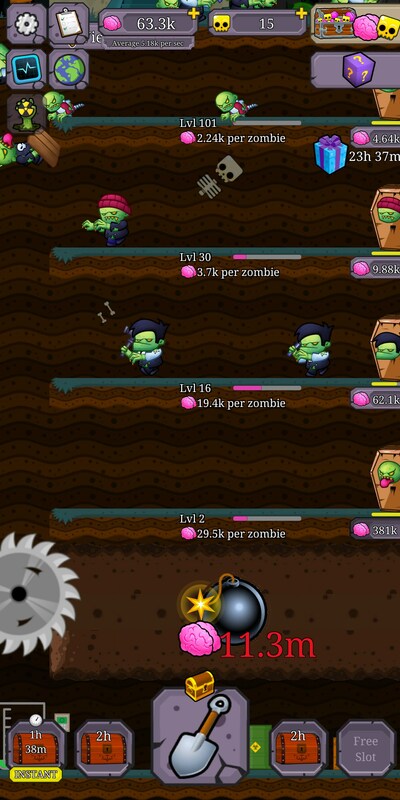 This means you’ll quickly progress from one zombie to another, leaving little reason to do anything else. 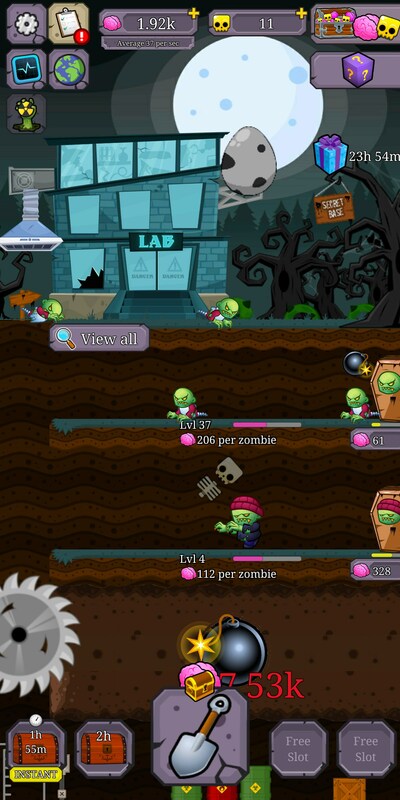 Zombie Labs: Idle Tycoon pacing feels lacking, too. 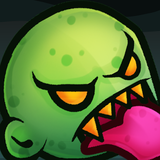 You’ll be spending way too much time mindlessly upgrading zombies that offer little reward, and the upgrade system might as well not exist as there is really nothing enticing about it. I’d like to see the gameplay retuned a bit with more ability to restart with a greater frequency and more info about what does what.